Discover four delicious new ways to enjoy the delightful flavor of wild Maine blueberry. 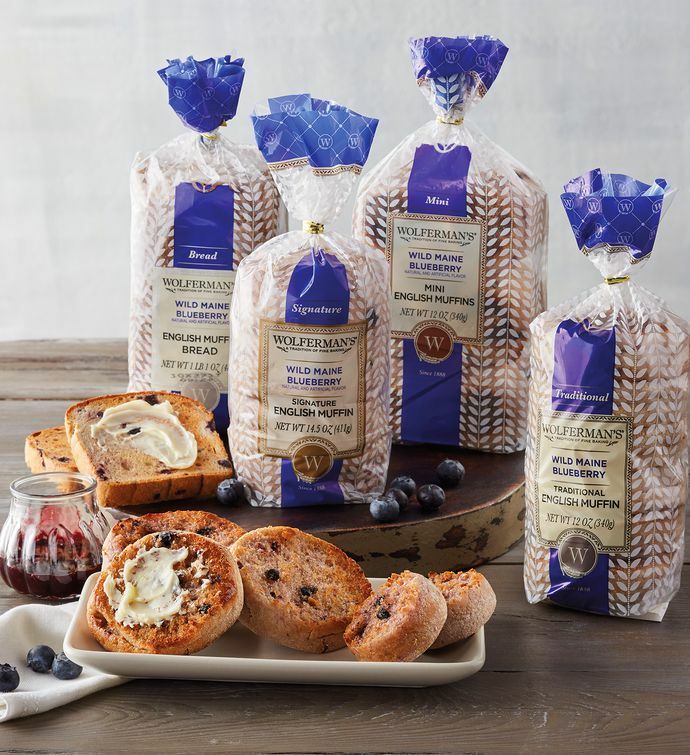 Our traditional English muffins are a classic favorite, mini English muffins are the perfect size for a smaller meal, our super-thick signature English muffins are nearly twice the size as any other English muffins on the shelf, and our English muffin bread has all the incredible flavor and texture of the muffins but in a pre-sliced loaf. Blueberry lovers will be thrilled with this one-of-a-kind assortment.